My husband loves me with long hair. I do like long hair but the upkeep and management of long hair stresses me out. So I tend to have short hair. Short hair takes less time to wash and dry. I can be in and out of the shower in 5-10 minutes. Yet I go through this every time: How to style short hair. Do I clip it up? – I look too young with any type of clips in my hair. Do I just flat iron for the Victoria Beckham look? – To straight and skinny for my face. 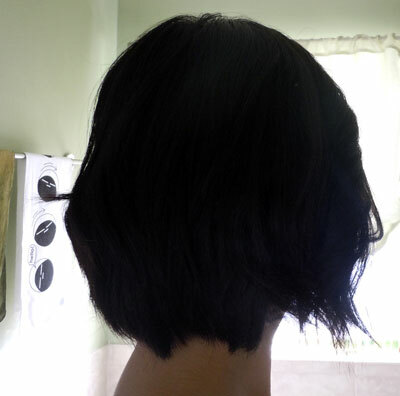 I tend to just moose, blow dry, and use a round brush to recreate the rounded bob cut. But 2 days ago, I decided to curl my hair using my flat iron. It turned out ok with a bit too much volume. I should have skipped the moose. Today I woke up and YIKES! It was a mess. Luckily I had my trusty Bumble and Bumble Surf Spray. This spray is made of salt water which creates that windblown, wavy hair most women would die for. 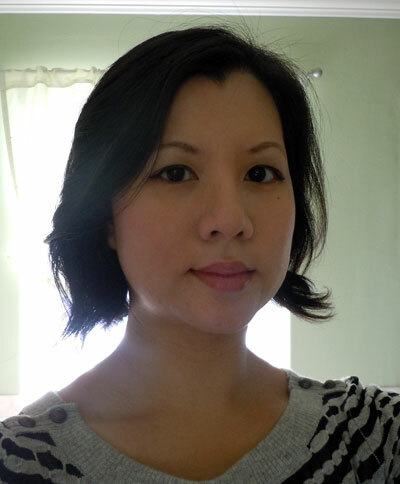 In my asian hair, I think it does a good job taming the “rolled out of bed” curls from the days before. It gave me the wavy look instead of the more tighter curls previously. And the sticking out, messed up hair became more manageable.